Where The Old Ways and Technology Harmonize! * * * Greetings! Welcome to Cat s Magical Shoppe, your online Pagan Resource since 2003! Here you will find New Age, Pagan, Wiccan, Witch, & Magickal Items including Ritual Tools, Jewelry, Tarot & Bags, Incense, Books, Candles, Tapestries, & much more. You can also subscribe to our weekly newsletter. 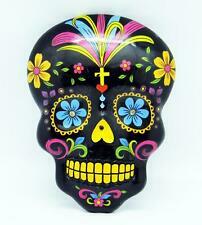 Vividly Colorful Black Day of the Dead Wall Plaque, Mask! 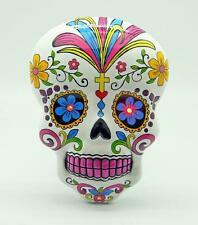 Colorful White Day of the Dead Wall Plaque, Mask! 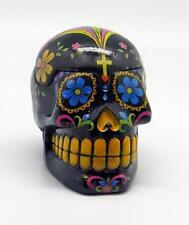 Colorful Black Day of the Dead Sugar Skull Box! 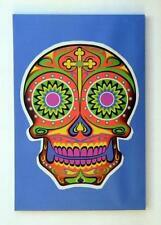 Blue Psychedelic Day of the Dead Canvas Print! 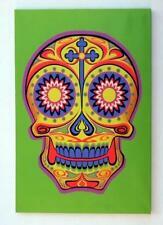 Colorful Day of the Dead Sugar Skull on Green Canvas! Leather Day of the Dead Embossed Mini Book of Shadow Key Ring! Red Day of the Dead Guitar Pick Earrings!